Take control of your game with personalized practice programs. We leave no stone unturned in determining your most efficient swing. Fitness and rehabilitation that will take your game to the next level. Complete team based solutions to create a winning environment on Tour. Fun for kids and grounded in science, your junior athletes will see new levels of success. 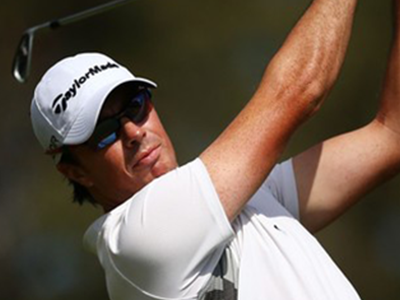 That all golfers dream of playing more consistent golf. We have developed a comprehensive process of game improvement that makes this dream a reality. We start with a complete assessment of your swing, physical fitness, equipment, strategy, and many other aspects that could be affecting your performance on the golf course. Our team of experts then carefully creates and maintains detailed programs for all areas that need attention to help you accomplish your goals. We then constantly track your progress with many different performance metrics to ensure your success. Our experts are carefully selected for their proven coaching success and belief in comprehensive coaching. We use the most advanced golf assessment and coaching technology in the World. This allows our coaches to work with surgical precision on your program and takes the guesswork out of golf instruction. The undisputed industry leader in radar launch monitor technology. Reading every aspect of putter and ball interaction, Quintic is the finest putting analysis system on the market. A portable and highly accurate force plate system, Boditrak allows us to measure the detail of vertical force and ground force interaction. This robust, anatomically digitized motion capture system captures data from head to toe to give us the most accurate biomechanical data available. A portable 3D motion capture system, K-Vest allows for ease of data capture even on the golf course. The most realistic cross platform simulation software, E6 continues to produce stunning graphics and realistic game play. We use the CoachNow Coach+ athlete management system to interact through video, audio, text, PDF, and. many other mediums through an easy to use App based portal. Whether uploading notes from a practice round at a Tour Event, sending videos of drills, or simply lesson notes and reminders, Edufii makes certain that your valued golf program and info is always on hand. Elite players on professional tours all over the world need more specific practice programs, gym programs, nutritional consultation, and more than anything else, for these programs to work together toward unified goals. We offer a complete solution for these needs that completely takes the guesswork out of what and how you should be practicing, training, and everything else to optimize your results. Our process starts with a detailed game assessment and then progresses to personalized coaching for every player. 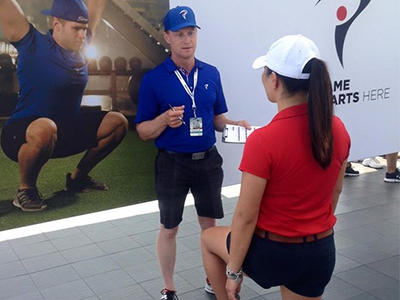 Book your assessment today and begin the road to golf performance excellence! 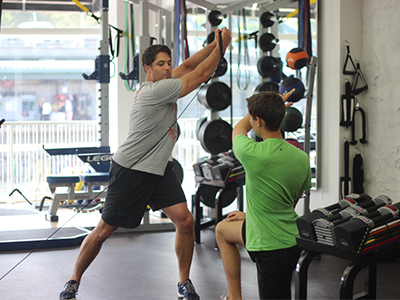 We will look at all aspects of your swing and body to optimize your personalized golf performance program. $750 – Includes the two-hour assessment and initial coaching session to recap the assessment and learn initial programs. This option is recommended for local players. $2500 – Two-day program including the assessment, interactive program development, initial program coaching, and practice strategy planning. This option is recommended for visiting players. Our coaching programs include many interactions including private coaching, personal training, on-course coaching, small group practice sessions, and constant program updates. These programs also include special invitations for our organized golf tournament trips. With full immersion into the this detailed, structured, and personalized coaching program, your game will certainly reach new heights. $6000 – When billed quarterly. $20,000 – When billed annually. Consistent success on tour requires a great deal of preparation, program periodization, schedule management, and more than anything else, a harmonious balance between all of your swing practice, skill development, gym programs, nutrition plan, and much more. We help to simplify all of these areas and help you focus on what really matters – Winning. Please contact us at info@catalystgp.com to set up a consultation for a tour program. Come see us at one of our facilities in Chicago. We also travel to most PGA and LPGA Tour events on a regular basis. Located in the heart of Chicago's financial district, The Buckingham Club offers our full array of coaching services and technology. We also feature a 21-room boutique hotel to accommodate our out of town guests. With 18 holes of top rated Chicago golf and an expansive practice facility, Royal Melbourne Country Club is the perfect home for our academy. We operate year-round with a convertible indoor studio during the Winter.